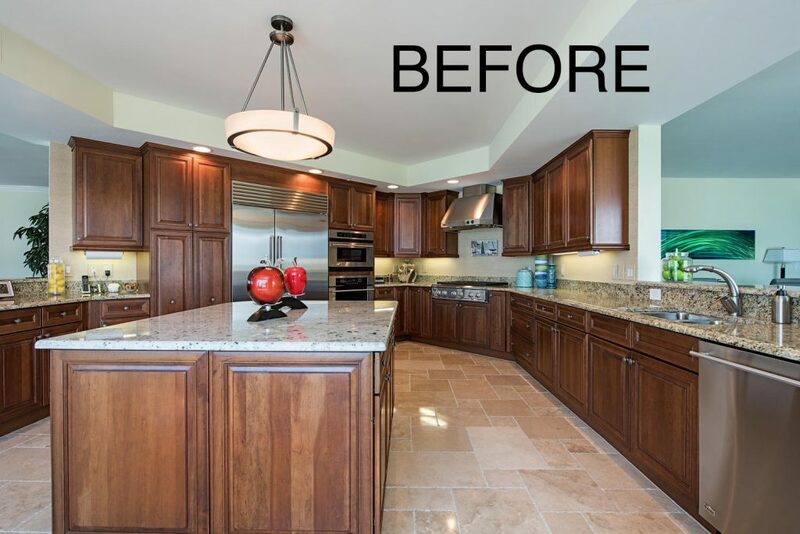 Owners of a high-rise condo in The Vanderbilt of Naples called upon BCB Homes to remodel their whole home, including a dim, closed-off kitchen area. 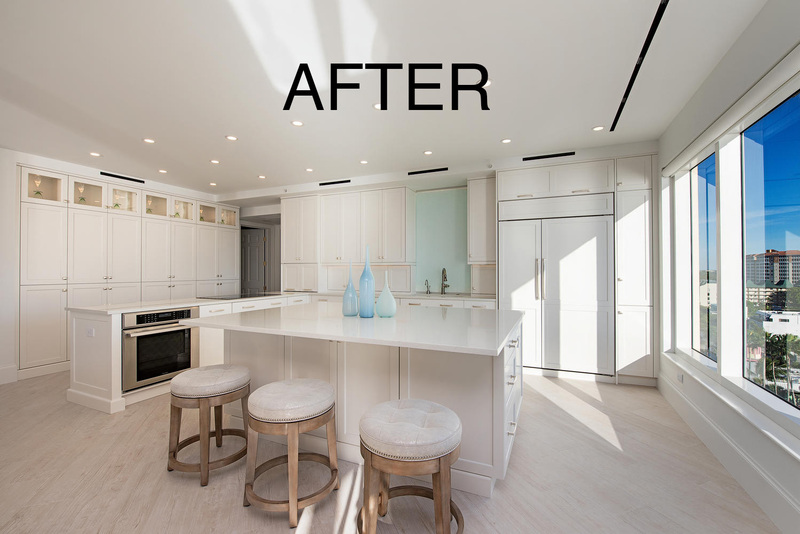 With the help from Clive Daniel Home, the builder transformed the space into a more transitional, contemporary style, with a clean color palette that maximized the high-rise’s oceanfront views. A structural column in the kitchen had to stay put, so the team mimicked it with another element, adding glass shelves for liquor storage and bar space. “The homeowners liked to entertain, so it was really neat,” Travis Smith, Vice President of BCB Homes, says of the fixture. 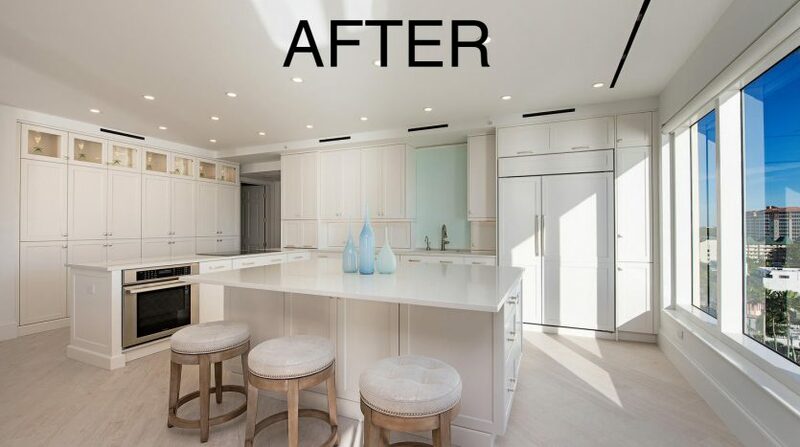 Now, the kitchen and unit feels light and airy overall, as it “really speaks to the casual beach lifestyle these homeowners love,” Smith says. 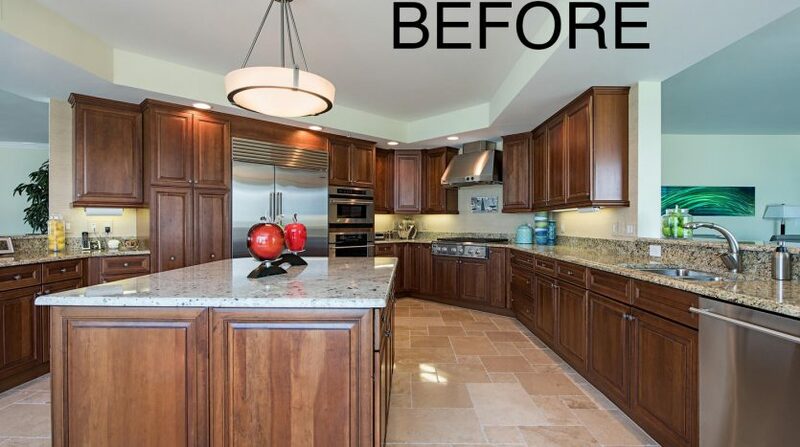 The entire unit renovation cost near $600,000, taking about five months to complete.